What kind of bride are you? Whether you want a classic look, all-over lace or a lot of bling, Adore Bridal & Specialty has the wedding dresses Central Illinois brides are looking for! We have a wide variety of gowns and we’re sure that we can find every Central Illinois bride’s dream wedding dress! From big designer names, private labels exclusive to Adore and designs straight off the runway, our selection is comparable to none. If you’re looking to complete your bridal look, you can count on us as well! Your Adore stylist will help dress your bridal party in our selection of bridesmaid dresses and tuxedo rentals. No matter the season, or if your wedding is indoors or outdoors, we can supply the complete bridal party look you are searching for. After you find your dream wedding dress, you also need to find the matching accessories! Accessories aren’t just traditional, they are also a great way to incorporate your theme. 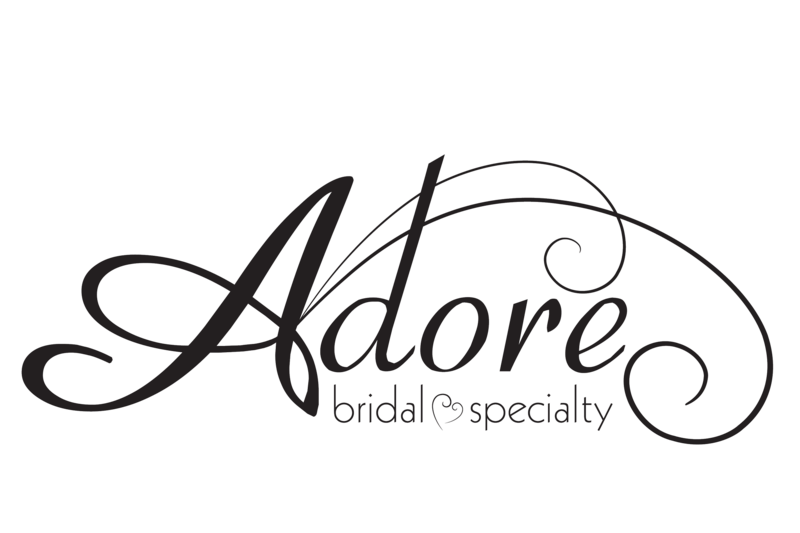 When you schedule an appointment with Adore Bridal, you’re really scheduling an appointment with your own personal Adore stylists. Our stylists get to know their brides and are great at understanding what their brides are looking for. Before your bridal appointment, your personal Adore stylist will have the chance to connect with you. This way, they learn more about you, your style and your wedding theme. Then your stylist will get to work and pull styles that are perfect for you! Our stylists are even known for finding a bride’s dream wedding dress before she walks through our door, so let us do the same for you! The Wedding Dresses Central Illinois Brides Adore! For the accessories, bridesmaid dresses, tuxedos and wedding dresses Central Illinois brides Adore, call Adore Bridal today at 309-291-0838 or schedule your appointment online. We’re in the business of helping you say “I Do” in the wedding dress of your dreams.